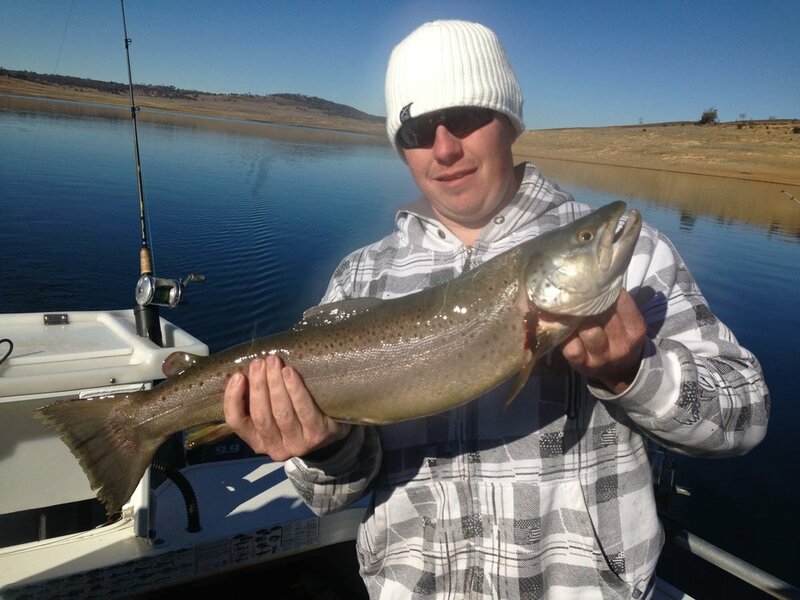 Book your Snowy Mountains Trout Fishing Charter today! 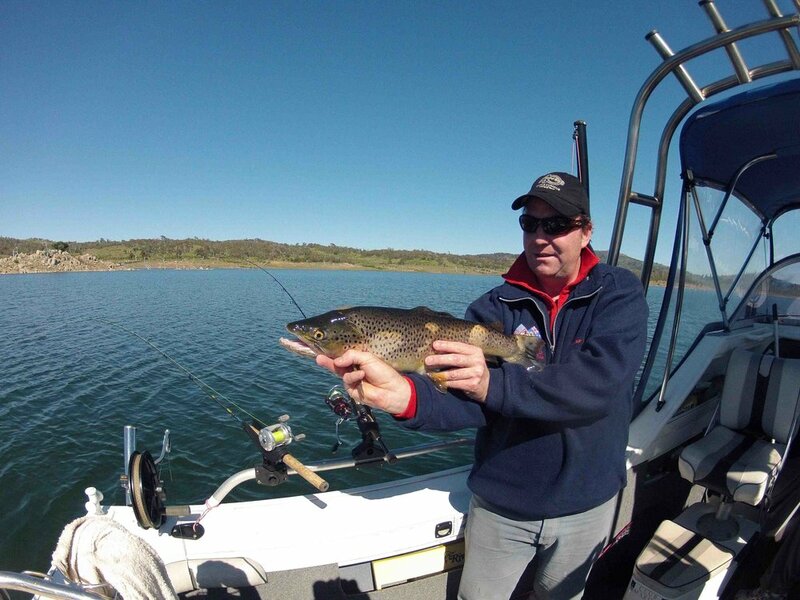 Eucumbene and Jindabyne Fishing Charters is a family business run by Mark and Vicki Fountain. We are both "locals" and know these lakes like the back of our hands. 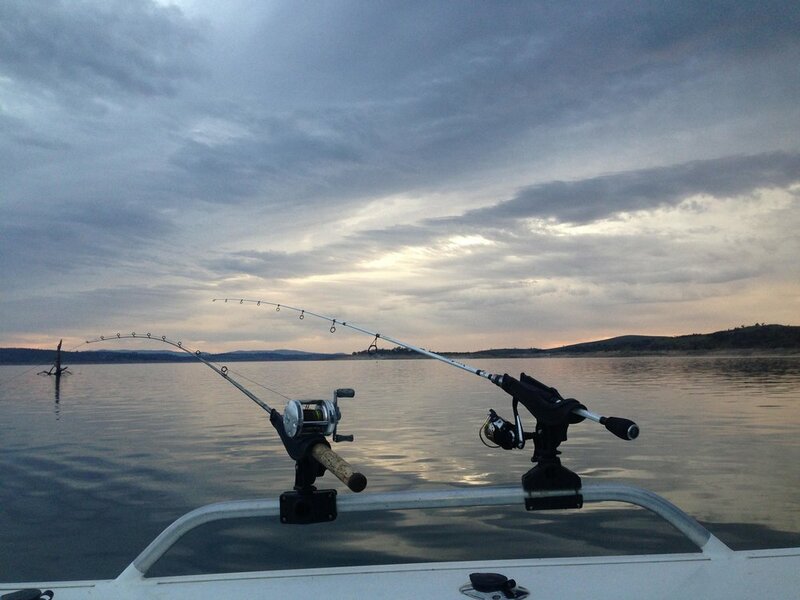 We supply quality rods, reels and tackle for trolling, which include down rigging, planner boards, lead ccore line, flat lining, snap weights and haling. Tackle, rods and reels supplied by Shimano. Lures by Repala. 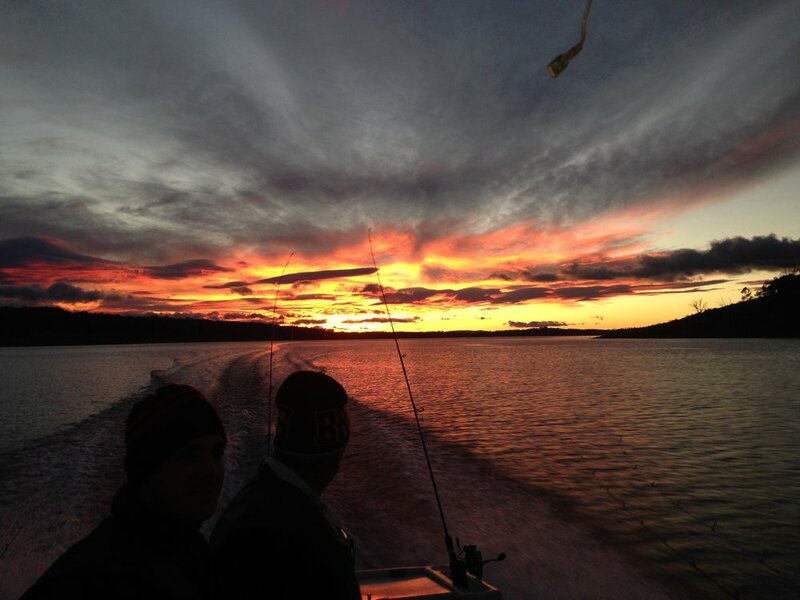 We operate all year round with half or full day fishing charters. For more information on pricing and inclusions, click here. 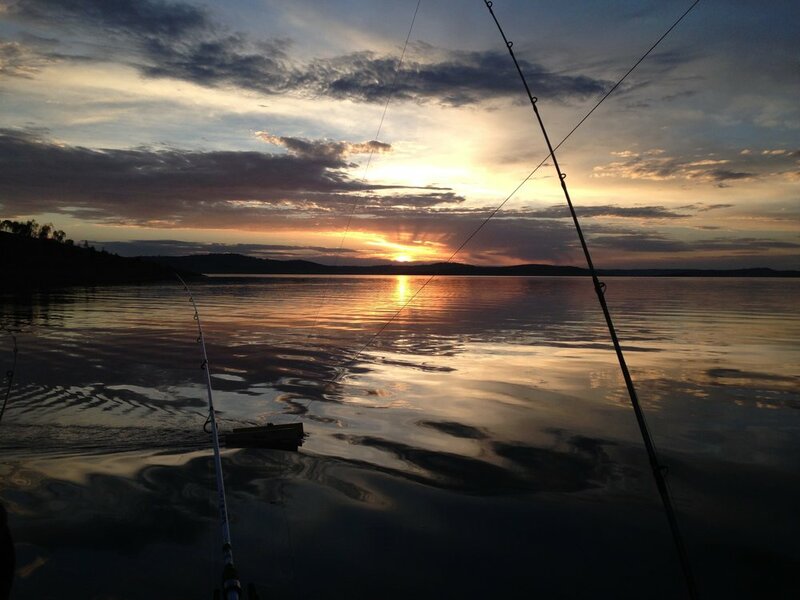 Take in the sights while you fish. 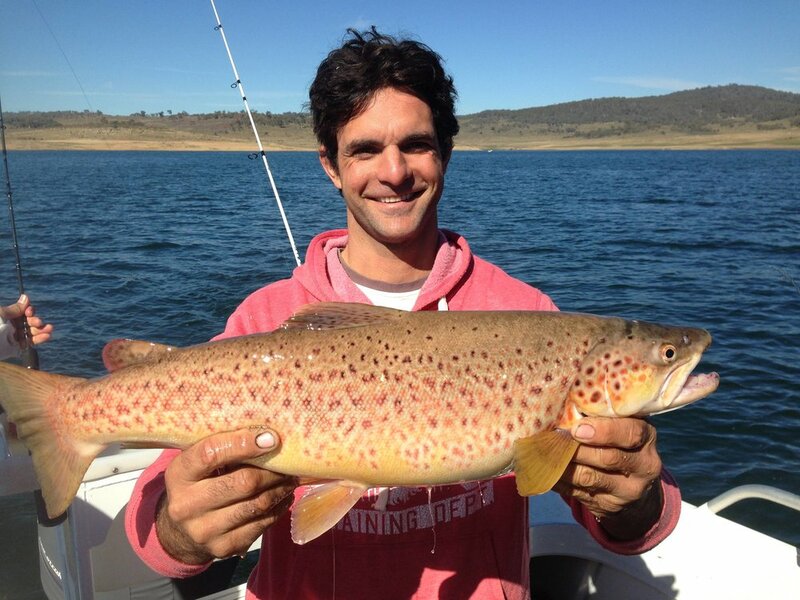 We encourage "catch & release". 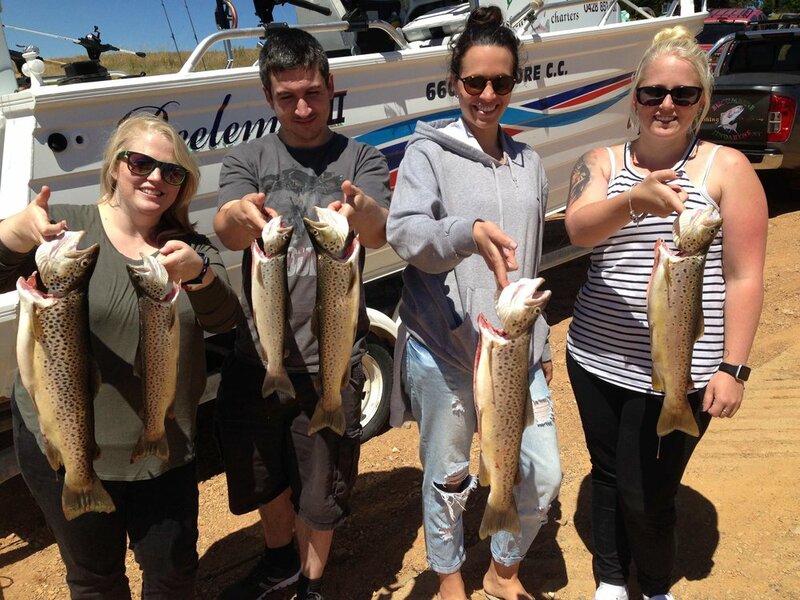 Contact Mark on 0428 852 880 or eucumbenefishingcharters@gmail.com to organise your Snowy Mountains Trout Fishing Charter today!